The Chrome app for iOS devices has just been updated to version 25.0.1364.86 (yes, go numbering longer) to troubleshoot and fix bugs. But this is not the only new browser from Google, but we also find it easier to find when browsing, to allow easy access to the history of visited web pages. In addition, this version adds the option to share links with your contacts via text messages. "- Hold down the button to go to previous page to quickly open any history page tabs. - Share a website through posts. Other new features: stability and security enhancements and bug fixes. " 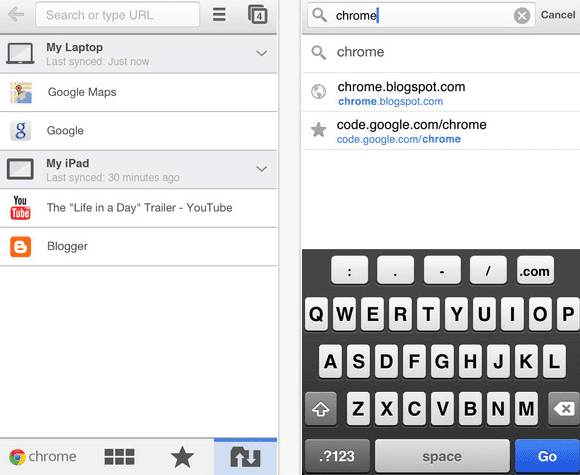 Chrome to iPhone makes things much easier for users who like to use the default browser on their computers, allowing us to synchronize all our information. Thus, we continue our navigation from anywhere and anytime. The downside, as always, is that Apple does not allow the user to choose the default browser (which only Jailbreak can "cure"). Chrome can be found in the App Store from your country for free. Article Chrome is updated by adding improved navigation and resolving failures was originally published in News iPhone .